Alexi McCann / January 16, 2019 / Comments are off for this post. What if we were tell you that there’s a single, proven way to enhance your cognition, pain, balance, heart health, muscle strength, bone health? It’s not. Exercise is the best, cheapest and most effective medicine we have. Its benefits are unmatched in the holistic perspective of health. Hence, why we physiotherapists relentlessly bang on about the benefits of exercise, day in and day out. One, because there is an overwhelming amount of evidence to show that exercise affects more than just your waist line. Two, exercise has zero prejudice. It is available to all populations, no matter your size, ability, bank account, or, in particular, your age. Aging is a fundamental process that we all experience. It affects our entire body, from top to toe, or from a health care perspective, from cell to system. Unfortunately, because of this unavoidable process, there are some undesirable outcomes. These outcomes can include diseases or conditions that impact our ability to perform even the simplest of tasks. It becomes even more of an issue when we can no longer do the things we want to do and ultimately lose our functional independence. 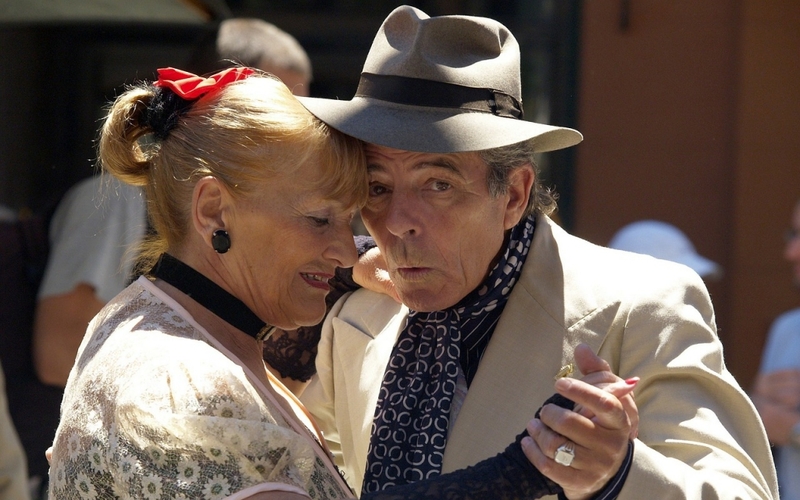 Despite these setbacks, aging is not all doom and gloom. In fact, by taking the initiative to develop healthy habits (exercise being one of them), we can prevent or even reverse some of the effects that Father Time has on our bodies. 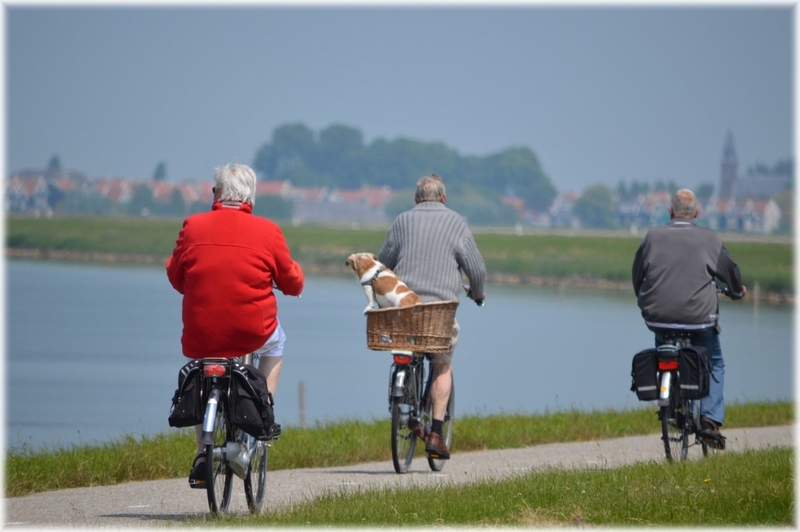 Despite the popular belief that when you age you just have to accept discomfort and disability, you actually have the power to manage any issues that may arise, reduce the impact they have on your body, and continue to lead an active life. Physiotherapists encourage all Australians to stay active. Find a group to exercise with and keep moving! Sarcopaenia is a process that affects our muscles. It results in a gradual loss of muscle mass that ultimately impacts our physical ability to complete our day-to-day tasks (even those as simple as being able to stand up from a chair). Unfortunately, losing muscle mass is a natural process of aging, just like those happy lines that we develop around our eyes, or how our hair becomes a few shades lighter. However, sarcopaenia is exacerbated by a sedentary lifestyle and can be debilitating in extreme circumstances, and what’s more is that common behavioural patterns worsen this condition. For example: we feel like we lack the strength to complete an activity, therefore we avoid it, we lose more muscle mass, decreasing our strength further and preventing us from participating in daily activities… It can be a vicious cycle. 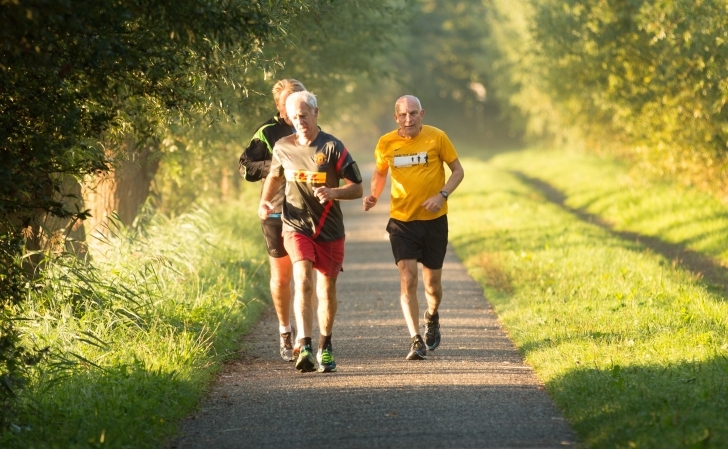 The good news is that we can retain our muscle mass through exercise. Resistance training, in particular, is the most effective treatment. Resistance training usually involves lifting or moving weights and this promotes what is known as hypertrophy, which means that the muscle cells grow in size. Resistance training involves appropriately overloading the muscle to allow the cells to adapt to their increased demands of function (i.e., the number of times or the amount of weight you need to lift). Those dumbbells don’t sound so dumb now, do they? With this in mind, this condition is also somewhat inflammatory in nature rather than only a structural degenerative disease. Osteoarthritis occurs due to collagenous breakdown (collagen is a primary substance that makes up our ligaments and cartilage). As our collagen deteriorates, it releases chemicals that indicate to our immune system that these cells are no longer viable, and therefore need to be removed so new cells can grow. This results in what can be described as an “inflammatory soup” that then surrounds the affected joint. This inflammatory soup is extremely helpful for short periods of time, where there’s a small amount of tissue damage, however osteoarthritis is a chronic condition where the “soup” remains around the joint and, in effect, irritates joint surfaces. You know what they say about too much of a good thing? Well, this is a prime example. Consequently, from the constant irritation of the soup remaining stagnant, it causes more damage, therefore more chemicals released around the site and the cycle continues. It’s understandable to think that movement might cause more damage because it’s painful; therefore, exercising may seem counter-intuitive. Wrong! Joints LOVE to move! After all, it’s their sole purpose. How does movement help, then? Well, exercise also encourages movement of the inflammatory soup. This allows for the waste products of the collagen breakdown (among the other chemicals released that irritate and degrade joint surfaces) to be removed from the area. Any movement that comprises of full joint range with minimal load that reduces joint stress is optimal to achieve this outcome. Similar to sarcopaenia, osteoporosis is a condition that is characterised by the loss of structural cells. However, instead of muscles, osteoporosis affects our bones, resulting in them becoming more brittle and fragile, increasing the chances of sustaining a fracture from even minor trauma. For example, flopping into a seat without a cushioned surface could be enough for someone with advanced osteoporosis to fracture their tailbone. While we may generally think of bones as very stable and stagnant structures, in actuality, they are continuously breaking down and remodelling to ensure they remain in a healthy state. If you look at a bone’s cellular structure, you will find two primary types of cells (among many others) involved in this remodelling called osteoclasts and osteoblasts. The role of an osteoclast cell is to liberate minerals that are stored in the bone to be utilised elsewhere within the body. To do this, they must break down the structural cells of the bone. An osteoblast cell’s role, in contrast, is to rebuild the bone tissue that has been previously broken down. In an individual without osteoporosis, these two cells work in harmony to maintain strong bones. In those who do suffer from osteoporosis, there is greater osteoclast activity than that of osteoblasts, resulting in more bone loss than what is being replaced. “How can exercise possible combat this condition?” you might ask yourself. Well, fortunately, studies have shown that weight bearing exercise promotes the activity of osteoblast cells, meaning more bone replacement. Running, jumping, weight lifting and dancing are great examples of weight-bearing exercises. In fact, anything that results in your bones undergoing a little more force than what they receive at rest. Unfortunately, activities like swimming and walking don’t quite cut the mustard, as they don’t produce a substantial enough load to adequately challenge our bones’ strength. So, if your goal is bone strength, try to aim for exercises with a little more vigour. Although we love the thought of people taking the initiative to begin an exercise regime, we also want you to be safe whilst doing it. This is why it’s important to consult with a physiotherapist before you begin to ensure that you can keep kicking goals with as little risk of injury as possible. Dancing is just one great way to exercise. It can increase muscle mass, strengthen bones, and improve balance. It’s reasonable to think that a fall is a relatively innocuous event. Once we start to merge into our senior years, though, a fall can be debilitating and frightening experience, especially as we become more aware that our bodies don’t bounce back like they used to. To put things into perspective, 30% of adults over 65 experience at least one fall per year. Falls are also the leading cause of injury-related hospitalisation in persons aged 65 years and over. Additionally, falls can also result in restriction of activity due to fear of falling, reducing quality of life and independence. Bottom line, they’re a big deal. To combat falls, we need to know how we stay upright. Three systems help us maintain balance. They include our vision, vestibular and proprioceptive sensory systems. Balance is partially influenced by our eye sight. We use visual cues to allow us to determine where we are in our environment, like knowing where our vertical or horizontal axes lie in our visual field. Our vision also helps us to identify obstacles and avoid unstable surfaces. The vestibular apparatus lies within our middle ear. When we turn our heads, the cilia (small hairs in our ear canal) sway particular directions and provide us with information about where our head is positioned. This is what is affected when we become dizzy from spinning around in circles. Our cilia sway in one direction for a period of time, and thanks to the phenomenon of inertia, once we stop spinning, our cilia keep swaying for a short period of time and this contradicts the information we receive through our other balancing systems and confuses our perception of our body’s position – usually resulting us going head over turkey! Proprioception involves our perception of where our body is in space. Sensors located in our skin, muscles and tendons help us to do this. For example, we should be able to close our eyes and bring our finger to touch the end of our nose. This is done by our brain being able to locate where both areas lie in space – all thanks to our sensors responding to gravity, pressure and muscle movement. Our ability to balance relies on all three of these systems. They work together constantly and dynamically as we rely on one more than the other at different times throughout our day. For example, consider the difference between day and night. Our vision is reduced at night, so our vestibular and proprioceptive systems need to increase their contribution. How do we improve our balance and prevent falls? Similar to how you challenge a muscle to get stronger, we can challenge our balance to help us become more stable. By assessing where deficits lie within different balancing systems, a physiotherapist can then target and train these areas to either restore them to their former function, or teach the other systems how to compensate for the other’s short comings. There are different techniques you can use to challenge each system during exercise. Like closing your eyes, turning your head or standing on a soft surface. It is highly recommended that this is done under the qualified supervision of a physio to ensure exercise is effective and safe. As healthcare practitioners, we believe movement is medicine. As with any sort of medical prescription, though, it’s important to ensure the amount and type of exercise is appropriate to achieve your goals and that you remain as safe as possible. Exercise is not without its risks, but this shouldn’t deter people from activity. In fact, living a sedentary lifestyle exposes people to more complications than exercise. Physiotherapists are required to have extensive knowledge of human anatomy and pathology, as well as the impact that exercise can have on these conditions. This enables our clients to enjoy the benefits of exercise without concern of their safety while performing them. The conditions discussed in this article are only a small handful of those we can treat with exercise, and it’s usually the case that these conditions do not occur in isolation. Therefore, it makes it even more important to know how exercise affects you. The point should be stressed, though. Everyone has the capacity to exercise! So keep moving!